Trailblazers, the fast-paced, revolutionary co-op arcade racing game, will finally be hitting the PlayStation 4 next week. The game promises on delivering beautiful visual quality, thrilling and interactive track levels, and high-speed action. The thing that separates Trailblazers from all the racing games out there though, is the ability for players to “paint the track.” This allows teammates to experience a boost in speed whenever they drive into those lanes. Each team comprises of 3 players for each race, having players strategically mark necessary spots in order for their team to gain the upper hand. Players will also be able to re-paint opponent’s marked tracks, having the enemy team lose their boosted advantage. 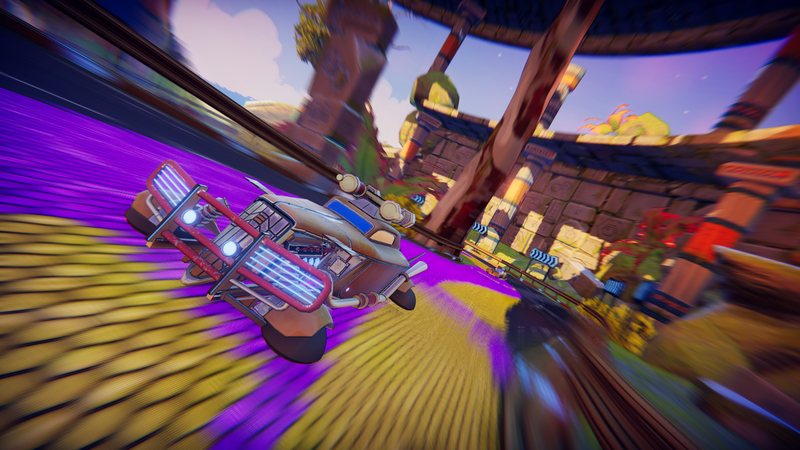 Racers who also play with style will be awarded with skill points every race. With the advent of this new co-op game on May 8, are you guys excited on trying out Trailblazers’ new style of racing madness?